Norway killer says capital punishment or full acquittal are the “only logical outcomes” for his murder of 77 people last July. As Norwegian law does not provide for the death penalty, 21 years in prison is the harshest sentence the court can pass. 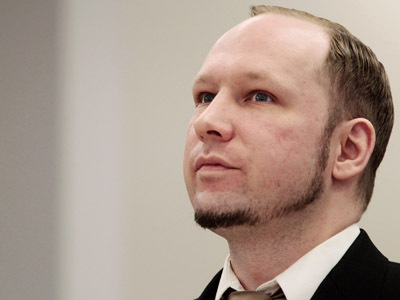 ­“Twenty-one years in prison is a pathetic punishment; I should either be acquitted or executed,” declared Anders Behring Breivik as the third day of his trial was brought to an end. “I don't wish for [death penalty] but I would have respected that decision,” added the far-right extremist. 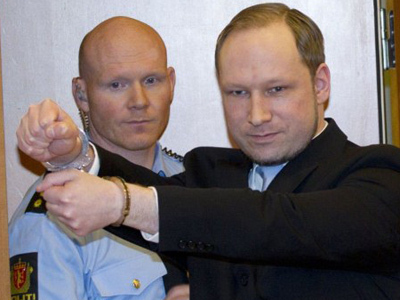 Breivik says he is fighting a Muslim invasion of Europe. On Tuesday, he declared the massacre was “preventative.” Today he said his victims were “legitimate” targets as they represented the “multiculturalism” of the ruling Labor Party. 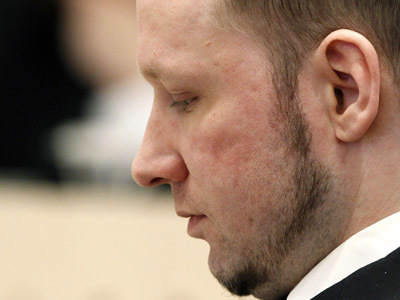 Given another chance, Breivik "would do it again." 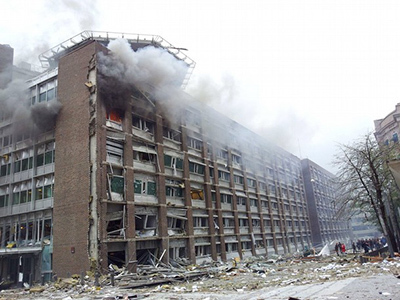 In July 2011, the right wing fanatic detonated a bomb outside the government headquarters in Oslo, killing eight people. Several hours later he opened fire at a youth summer camp on Utoya Island outside the capital, shooting 69 people, most of them teenagers. “If I had feared death I would not have dared to carry out this operation,” the extremist declared on Wednesday, adding he had not expected to survive the day. 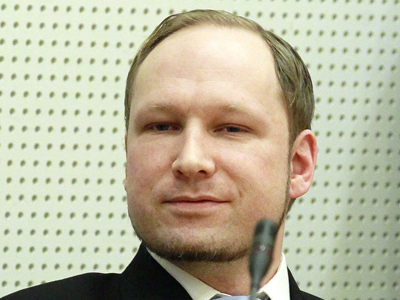 Breivik claims the attacks were carried out on behalf of the “Knights Templar,” a militant anti-Muslim nationalist group – as he describes it in his 1,500 page web book. 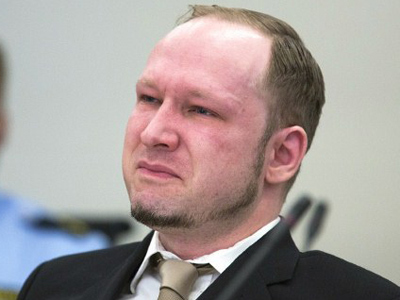 Prosecutors believe the group does not exist, but Breivik insists it is real, though it cannot be called “an organization in a conventional sense.” When his KT propaganda video was shown in court on Monday, he broke down in tears. 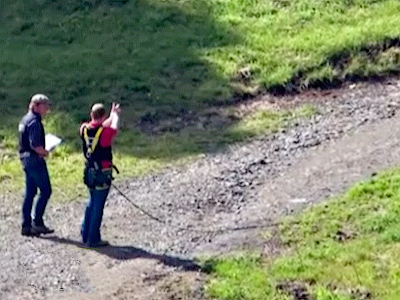 On Wednesday he asserted two Knights Templar cells are ready to launch attacks in Norway. But he gave no further comment, even being pressed for details of the alleged founding session in London in 2002. This could “lead to arrests,” he said. Breivik now seemingly wants to distance himself from the "old school" of "rightwing extremism" propagated by the Nazis. On Wednesday he claimed his actions were inspired by "Serb nationalists" and al-Qaeda and that he himself is “anti-Nazi." He went further, declaring he had met a Serb nationalist wanted for war crimes when he visited Liberia in 2002. This could refer to secret police ex-commander Milorad Ulemek, who was convicted of assassinating Serbia's pro-western Prime Minister Zoran Djindjic. 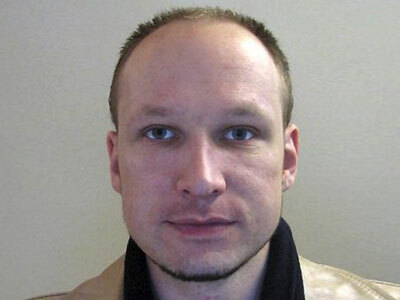 However, Ulemek's lawyer claims the two have never met and the prosecutors are not sure how true Breivik’s words are. The extremist now sees himself as a "role model" for other "militant nationalists." He says his goal was to polarize the society by provoking a “witch hunt” for modern nationalists. This strategy, in Breivik’s opinion, would produce a new generation of radicals who would continue the war he initiated in order to protect the "indigenous people" of Norway and Western Europe.